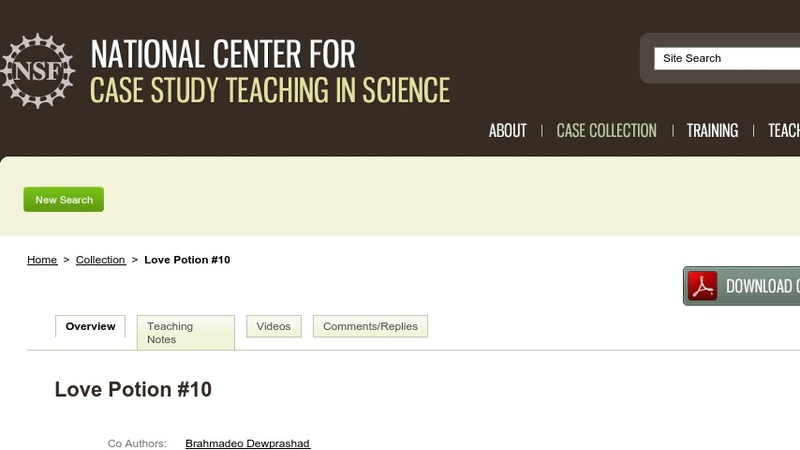 In this case study, students are asked to consider whether there is evidence to adequately support a series of scientific claims made in an advertisement for pheromones. The case teaches students about the scientific method and the process of science. Designed for use in advanced, average, and below average high school (grades 9-12) biology classes, it could also be used in AP Biology or in an introductory college biology course.